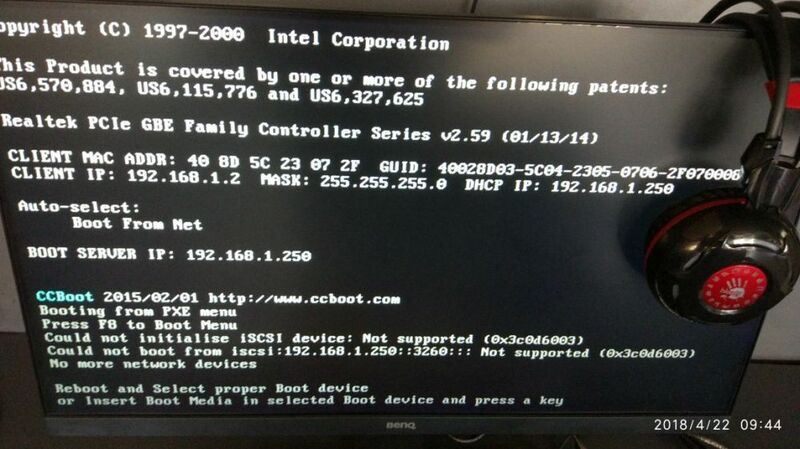 Client will try to boot from CCBoot but will fail with an error (Figure 1). The issue is caused by one of the roles in Windows Server 2016 called "iSCSI Target Server" (Figure 2). This role creates iscsi service on the server which conflict with CCBoot and causes clients to failed to boot. 1. When the issue occurs, you can start and stop CCBoot and then reboot client. 2. First solution is not always practical, so better option is to remove the "iSCSI Server Target" role from the Windows Server 2012 (Figure 3).